Amanda spent her professional career as a dancer in the 1980s working with Kinetic Energy (Sydney), on the commercial dance circuit in Sydney, Japan and South East Asia, and as a member of Human Veins Dance Theatre (Canberra). In 1990 she traded dance for academic study receiving a BA Honours in 1994, with majors in History and Women's Studies. 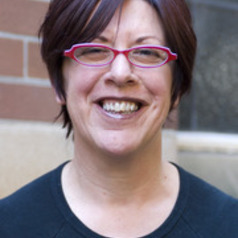 Her PhD, awarded in 1999, concentrated on issues of national representation, aesthetic and political influence, and sexual politics in Australian dance. Between 2000 and 2007 Amanda was Executive Producer of Onextra, a producing unit for independent dance in Sydney, with responsibility for the artistic and financial direction of the company. In 2003 she joined the Department of Performance Studies (DPS) part time. Amanda was also the inaugural Chair of the Board of Directors of Critical Path (Sydney’s choreographic research and development centre) and a peer adviser with the Dance Fund of the Australia Council for the Arts. Since 2008 she has been a full time member of the academic staff of the DPS, currently lecturing in dance and movement studies, intercultural performance, embodiment and critical theory for performance studies.